Must be my upcoming birthday because this article here is just TOO GOOD not to share 🙂 To see all the fantastic graphs and pictures, do enter the link for the full story here below, simply BRILLIANT!!! JUN 17, 2015 (WashingtonPost)–Coffee, the bitter beginning to so many people’s mornings, has been enjoyed by humans since at least the 13th century when the first roasted coffee was served. Today, the world drinks somewhere upward of 2 billion cups each day. People kill for it. And sue multimillion dollar corporations over it. We even named a piece of living room furniture for its association with coffee, despite the fact that everyone knows the table is just for propping up your feet. Given the primacy of coffee in our daily lives, we decided to chart and map some of the finest data on the world’s coffee habits — who drinks it, how we drink it, and how much we guzzle on a daily basis. Direct your attention over to Europe, where some people drink an impossibly large amount of coffee each day. The Dutch, the world’s biggest drinkers, down almost two and a half cups per day on average, according to estimates by market research firm Euromonitor. The Finnish, whose love for coffee ranks second, drink just under two cups per day: the Swedes, the third biggest drinkers, consume almost one and a half cups; and the Danish, who are fourth, drink about a cup and a third. Americans are 16th, at less than a cup each day. There’s a nice rundown of these numbers over at Quartz. Despite what some believe to be a coffee renaissance of sorts, American are actually drinking way less of the stuff than they once did. The average person living in the United States drinks a little less than a cup of coffee per day, according to data collected by the U.S. Department of Agriculture. That pales in comparison to 1946, when the average person drank two cups a day, the most ever. Crazy, right? The percentage has barely budged since 1999, when 37 percent of the population drank zero cups each day. The only promising sign for American wakefulness is that 26 percent of people drink one cup each day, up 4 percentage points from 1999. The rise in coffee shops such as Starbucks and Dunkin’ Donuts has popularized prepared coffee drinks, like Frappuccinos, Chai Tea Lattes, and other sugar-stuffed beverages, particularly among America’s youth. Almost half of all young adults, aged 18 to 35 years, say that they buy these sorts of coffee-based concoctions at least once a week. The fastest-growing segment of the coffee industry is the pod business, and it’s not even close. Only 15 years ago, coffee pods were hardly a thing in the United States. Now, more than one out of every three dollars spent on coffee in this country is spent on a coffee pod, according to data from Euromonitor. The rise of coffee pods in the United States is thanks, almost entirely, to the rise of one brand: Keurig. One way to measure that ascent is to simply look at sales of coffee pod machines (virtually all of which are made by Keurig) compared to the sales of all other coffee machines over time. Another is to ponder this statistic, from Murray Carpenter’s book “Caffeinated”: If you were to string all of the K-cups discarded in 2011 together, they would have encircled the globe more than six times. In 2013, the leftover pods could have circled the globe 10 times. The chart above, from Quartz, shows that as of 2012, Western Europe (France, Germany, etc.) 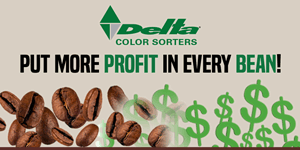 now buys more coffee pod machines than traditional drip machines. They aren’t yanking Keurig K-cup machines off the shelves though — they’re gently grabbing fancy Nespresso makers. A surprisingly big part of the world likes to drink the least cool coffee there is. Why? Mostly because there are that many amateur coffee drinkers out there. Instant coffee, which is easy to make and comes in many different flavors, is perfect for people who don’t appreciate the nuanced flavors of coffee. Exhibit A: Asia Pacific, where tea drinking traditions are strong, is the world’s largest instant coffee consuming region by sales. Exhibit B: Australians, who like the stuff more than anyone else. Americans, meanwhile, are pretty much the only people who have refused to adopt the mix-in ground beans. Ask any coffee connoisseur whether whole beans are better than pre-ground, and you’ll get a resounding yes. Anyone who is serious about coffee buys freshly roasted beans often, and grinds them before brewing. But ask Americans what they prefer, and most will mutter a wimpy “whatever is easiest.” They like convenience over quality, in other words, and it’s only getting worse. There is no coffee quite as ubiquitous as Nescafé, which 41 countries around the world prefer (or least buy the most often). The only other brands that are favorites in more than one country are Jacobs, a German coffee now owned by Mondelez International, and Nespresso, a Swiss coffee sold in capsules meant for coffee pod machines. Americans like Green Mountain coffee, which they drink in Keurig coffee pod machines (more on that in a second), best. Italians like Lavazza. 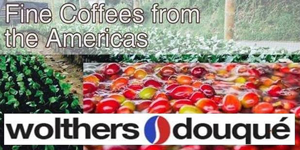 And the coffee-loving Dutch choose Douwe Egberts, a coffee made by D.E. Master Blenders 1753, which is based in the Netherlands. *And can we point out that Canada is the only country that prefers Maxwell House? This is a fact that is perfect in every way. What America really drinks, when it drinks coffee, is basic, as we wrote last month. And it’s made by two mammoth coffee chains. On the whole, our coffee preferences split the United States in half: Starbucks Country and Dunkin’ Donuts Land. Overall, there are about 12,000 Starbucks locations and 7,500 Dunkin’ Donuts locations in the United States. In fact, 80 percent of Americans live within 20 miles of a Starbucks. What’s surprising here isn’t necessarily Starbucks’ ubiquity — that’s been a subject of discussion for years now — but rather Dunkin’s total dominance in certain markets in the Northeast and in the Carolinas, Florida and around Chicago. It’s a sweltering hot day, and you didn’t sleep a wink last night. What are you going to do? Not drink iced coffee from Seattle’s Best. Caribou’s ice coffee, on the other hand, which is cold pressed, might not be such a bad idea. McDonald’s might sell its coffee for a buck, but that dollar doesn’t get you much caffeine. Starbucks coffee has more than twice as much caffeine, Peet’s coffee has nearly double, and even Seattle’s Best packs a bigger buzz. Drinking coffee while cortisol production is high leads us to develop long-term tolerances for caffeine, which is why so many habitual coffee drinkers say it has less of an effect on them over time. The chart above shows the three times throughout the day — the early morning, midday, and evening — at which cortisol levels rise (notice the peaks). The key is drinking coffee between those peaks, when it is actually most needed, and, perhaps most importantly, will not interfere with your body’s essential mechanism for keeping you alert. The Mormon faith doesn’t allow the consumption of coffee or tea, so perhaps it’s not surprising that Google search interest in “coffee” is lower in Utah than in all other states. The Virginias, Arkansas and Delaware aren’t terribly interested in looking up coffee online either. By contrast, Minnesota (home of Caribou Coffee) and Washington state (home of you-know-who) show the most interest in coffee-Googling. 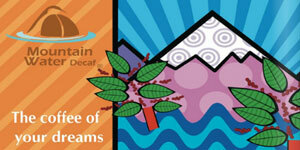 Other well-caffeinated states include Colorado, Hawaii, California and Vermont. You can trace the history of coffee in the Western world by looking at how often the word appears in printed English-language books. Interest began to pick up in the 1750s, with the rise of the coffeehouse. Coffeehouses served as community gathering places were residents sat around and discussed the news of the day — like bars, but more sober. In the United States, at least, interest in coffee waned during the post-World War II years, but it picked up in the late 1960s, when it overtook tea for the first time. Interest has been rising ever since. 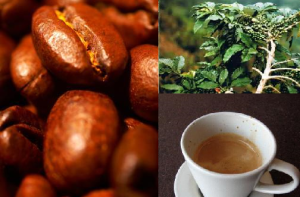 Brazil is overwhelmingly the world’s biggest coffee producer, responsible for about a third of the world’s output, according to the International Coffee Organization, an inter-governmental group representing the world’s coffee producers. And five countries — Brazil, Vietnam, Colombia, Indonesia and Ethiopia — produce over 70 percent of the world’s coffee. There are two major coffee varieties: Arabica, which is lighter and more flavorful, and Robusta, which has a higher caffeine content but which most experts say doesn’t taste as good. Arabica was the dominant roast for decades, but in recent years Robusta has started to catch up, according to a recent USDA report. Various factors — such as price pressures and production problems — are behind the recent increase. 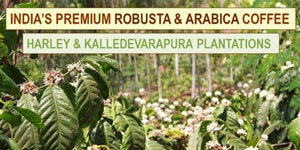 Some roasters now say that a blend of Robusta and Arabica beans produces the ideal brew. Bach’s cantata Schweigt stille, plaudert nicht (“Be Still, Stop Chattering”) is essentially an extended musical love-letter to the stimulating brew, written around 1735. Also known as the “Coffee Cantata,” it’s about a woman who won’t stop drinking coffee, and her father who won’t let her marry until she does. Unbeknownst to each other, they each have a change of heart in a kind of Gift of the Magi situation, and the piece ends with everyone singing coffee’s praises. Musical theater!